Hello dear readers! Welcome to the Samsung Galaxy S6 Edge+ (#GalaxyS6EdgePlus) troubleshooting page, which will contain all tutorials, how tos, tips, tricks, fixes, problems and solutions that we’ll publish on our site. The contents you can find here may be useful for you in the future, so I suggest you bookmark the page so it will be easier to find in case you’ll encounter problems or want to make the most out of it. The Galaxy S6 Edge+ (Edge Plus) is the bumped up version of the original Edge released by Samsung 5 months ago. Almost all of its specifications are the same and design-wise, there are also very few differences you can find. The company also added a few Edge-specific apps to allow users to maximize the use of the Edge screens. But just like any other smartphones, the Edge+ will never be free from problems either caused by the firmware or hardware. That is the reason why we created this page. We want to help you if you will encounter problems with your phone. We’ve been providing free support to our readers for more than 3 years now and we are not planning on stopping it. We’ve setup a page that contains our Android Questionnaire form. Fill up all necessary fields and provide more details about your problem in the description box. We will research about your problem and draft troubleshooting guides and/or solutions. but remember, the more information you can provide, the more accurate our solutions will be. Having Trouble with International Roaming service? What to do if you are unable to sign in to your YouTube account? My samsung s6edge not detecting sim and also not showing imei pls…..help. 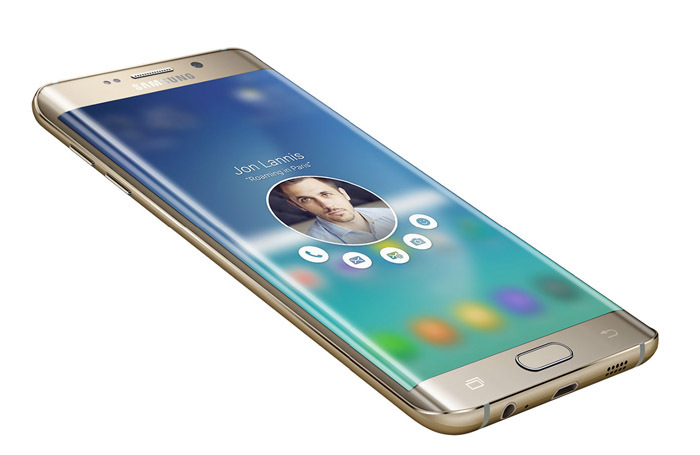 wehn i put on my phone it displays SAMSUNG GALAXY S6 EDGE and go off. Hi, how can I put my phone number on “About Device”, “Phone Number,” please? Its strange. My Phone can charge with power saving mode. Did you resolve? Thanks for your help. I couldn’t receive any calls for nearly 2 months and now it’s fixed. I changed the network settings to GSM only. Last weekend my phone screen went back with some white text across the top and did a factory reset. I have been piecing my phone back together and tonight I saw the same black screen with white text at the top and it restarted but did not reset, Thank God. Not sure what has caused the issue but not loving this problem. Any ideas? Can anyone help me please ,,,, i have the Samsung edge plus 6… and the sensor wont work at the back in selfie and any other mode … also my rota has stopped working to on pictures work on games fine tho ? My Sony bluetooth headphones pair correctly on my s6 edge plus. When I play music or podcasts, as long as I stay still, it sounds fine. The moment I start moving, the connection starts jumping and cuts off. I paired the headphones with my tablet and had zero problems. my phone keeps making notification noises and there are no notifications. If I put in on vibrate it will randomly vibrate. Help! it’s irritating. Hi. I have just got an edge+ and so far my oly complaint is that when using the keypad it is often slow to print my typing and when l move my fingers across the board it prints words l dont want as though the screen is to sensitive. S voice cannot find my contacts! It used to work fine? ?? Not sure what happened to it. Any ideas or solutions? Does my + have ir remote capabilities? If so, what app3? I using my Samsung 6s edge plus for 1 week, it will hang/freeze for 5sec sometime when I want to unlock my phone with the pattern lock, just wondering is my phone having problem or the android version lollipop having problem? I have a Samsung 6s +… Bluetooth keeps disconnecting from my Car. Up and down like a yoyo. Help! I had to do a Master Reset because my phone would not recognize my fingerprint and I could not remember my back up password. Now my phone won’t accept my Google login. Any suggestions please!!! When texting my keyboard will freeze and sending message is delayed. How to use lettters in order to unlock sim ??? I cannot seem to get torrents to download from utorrent. It just says gathering file info and then just stays t hat way. Never had problems before on other phones. What could the issue be?